Just noticed this thread - sorry for such a late posting. I was in the same class as Malcolm Stringer, her husband, at Hucklow Road Junior School. I remember her as a teenager hanging out around Sheffield Lane Top and Hatfield House Lane. Marti Caine (Lyn Shephard),as a teenager was on the beauty queen circuit,and also a member of possibly the oldest ladies weights gym in the world,"The Sheffield Barbells".During the early 60s the club was based at the old Portland Street school,and most of the members competed on the beauty queen circuit and they also had a display team that used to go round the country doing an exercise routine to music using weights. These were the days when there were many more boozers than gyms,not like today,when there are more gyms than boozers! So they were very much pioneers of weight training for women,and indeed the only people you saw running on the streets were usually trying to escape the truncheon of a copper,but obviously these were the days when most people got all the exercise they needed by doing hard physical graft at work. At one time her former husband Malcolm stringer did indeed have a butchers shop on Wostenholme Road and one at Banner Cross. I remember Marti having a song that I loved. " I'll Never See You Again"
Some time about 1980 my friend Peter promoted a blues tour starring Tommy Tucker (Hi Heel Sneakers) and Chicago's Billy Boy Arnold, who was accompanied by his brother Julio Finn. When they weren't touring around the country the musicians stayed at one of the innumerable hotels in London W.2, and one evening I accompanied them and Peter to its basement bar where we had a merry evening. As the evening went on, Julio became more and more interested in a slim lady sitting alone at a table, and eventually went over and chatted to her, obviously hoping to get to know her better real soon. Peter whispered to me, "Do you know who that is?" I did not. "That's Marti Caine" he replied. I guess she too stayed there when she was performing in London. I never did find out if Julio got lucky. 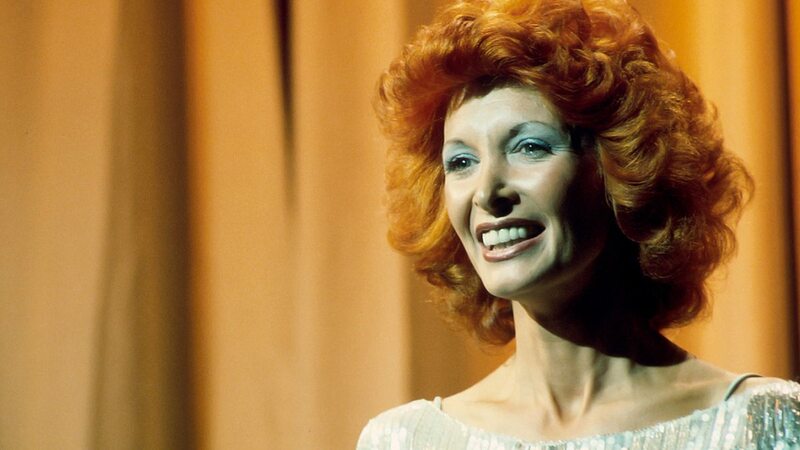 Marti Caine (26 January 1944 - 4 November 1995) was an English comedian. She was born in Sheffield as Lynn Shepherd. After working many years on the club circuit as a stand-up comic, she rose to national prominence when she appeared on the show New Faces in 1975. 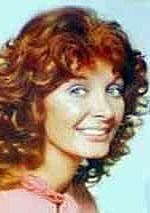 After winning that year's competition she went on make more television appearances including the self titled Marti Caine. She also returned to New Faces as presenter during the mid-80s. She died from cancer aged 51. Is it true before she was famous she used to run a cafe at Firth Park ? Did you ever see her live ? How good was she ? Im pretty sure the monument on Arundle Gate (junction with top of Howard St) that looks like a Bride Eye Potato Waffle is a monument to Marti? 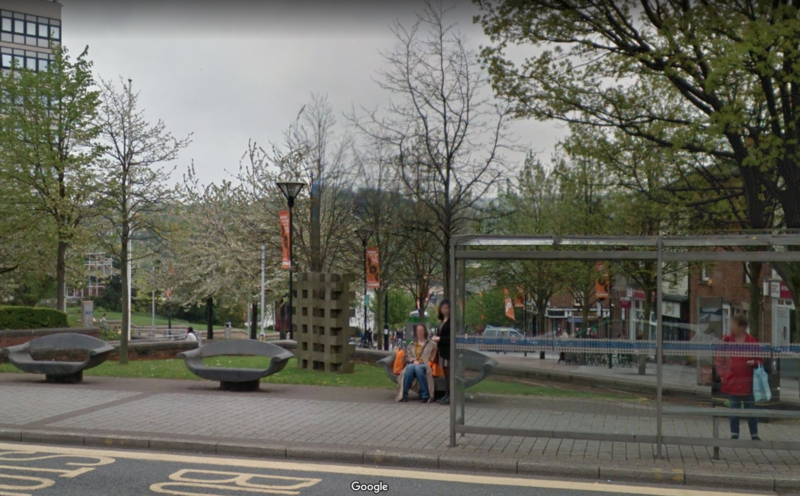 According to the Public Art in Sheffield website it was to have been "opened" by Marti Caine but she passed away before that happened, so it was dedicated to her instead. Seem to remember in an interview (Parkinson?) that her stage name was picked out of a book, she turned to a page at random, then a line at random and found the words 'Tomato Cane'. Only time I ever saw her was when she opened 'Laskys' on Leopold Street. Used to see Marti Caine in Cole Brothers a lot. usually in the Coffee Shop. I was also a member of her fitness place Sherbert, which was in an upstairs place down the Moor. Bobby Knutt's wife place was on West Street. She was a regular at Cole Brothers, She also had pink hair at that time. Remember seeing Marti one night at the Marples, they had a tiny little stage in one corner of the room, but when she came on she lit up the whole place, and had everyone rolling with laughter, she was FAB. Saw her again at the Fiesta, she was the compare, dressed in the most beautiful pink sequined jacket, she looked a million dollars, her bubbly personality brought such energy to the night and brightened everybody up. A lovely Lady.